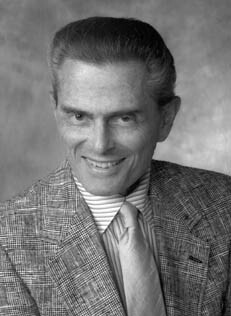 John Diercks is an American composer born in Montclair, New Jersey, in 1927. He holds degrees from Oberlin College, the Eastman School, and the University of Rochester (PhD). His composition teachers included Howard Hanson and Alan Hovhaness. For Asian music and dance he studied with Dorothy Kahananui and Halla Huhm. Dr. Diercks taught piano at the College of Wooster (1950–54), then began a long tenure at Hollins University, teaching theory and composition. He served as department chair from 1962 until 1990. Among many grants and awards he has received are those from the National Endowment for the Arts, the National Endowment for the Humanities, the Mellon and Danforth foundations, and ASCAP. As a composer he has enjoyed residence at the MacDowell Colony, Wolf Trap Farm, and the Virginia Center for the Creative Arts. Much of Diercks’ music is influenced by exoticism, including microtonality and “unconventional” musical sounds. An early work, Cave Music for vocalise and three players on prepared piano, accompanied a dance performed in Virginia’s Dixie Caverns and broadcast on NBC-TV’s Today Show.